Or view larger version. Carmel Mission. 1938. Dorothea Lange. Gelatin silver print. Collection of Oakland Museum of California. Gift of Paul S. Taylor. 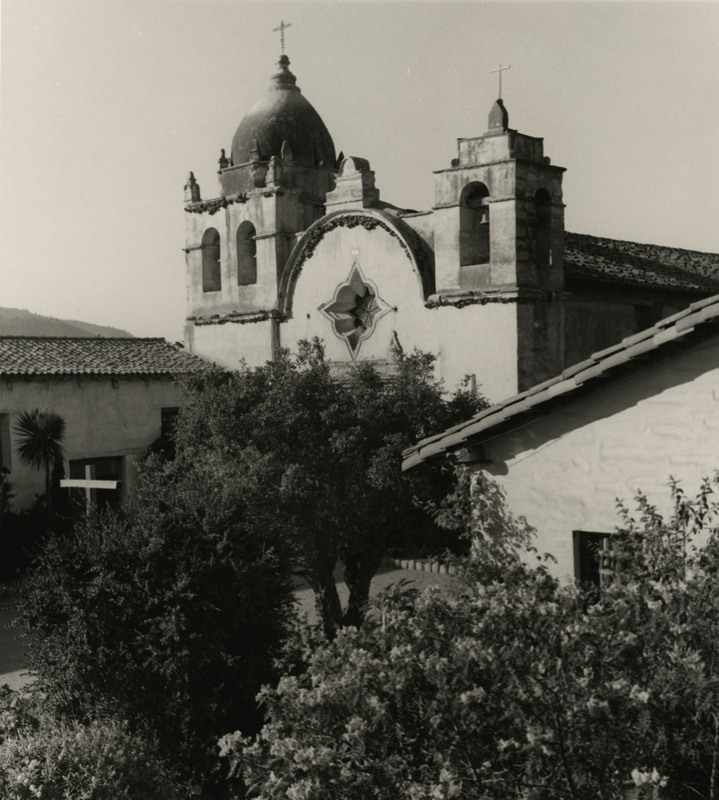 This is a photograph by the famed photographer, Dorothea Lange, of the Mission San Carlos Borroméo del río Carmelo. Lange was best known for her Depression era work for the Farm Security Administration. This photo was taken by Lange in 1938 while she was on a trip taking landscape photographs.